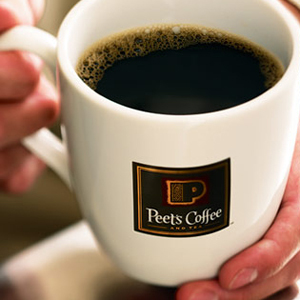 From December 17-24, donate to Youth in Arts at the register at Peet’s Corte Madera and Peet’s will match your gift up to $750! That means you can double your impact on arts education by donating as you buy your morning coffee or your afternoon tea. As a special treat on Sunday December 20 at noon : `Til Dawn a cappella will sing in front of the shop! So stop by, say hello, grab a hot drink, and have your donation matched by Peet’s–we look forward to seeing you there! 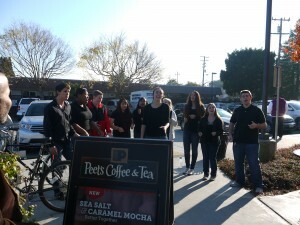 `Til Dawn warming up Peet’s drinkers with holiday songs.